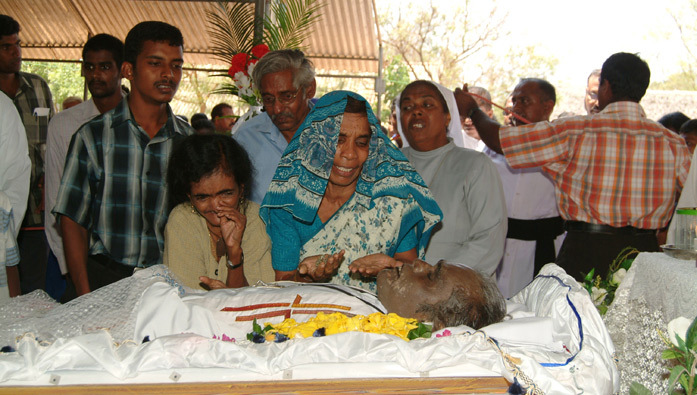 His funeral on Tuesday was an opportunity for thousands of Tamil Catholics to gather to pay their respects to this much-loved priest who provided care and support for people traumatised by the war and the 2004 Tsunami disaster. 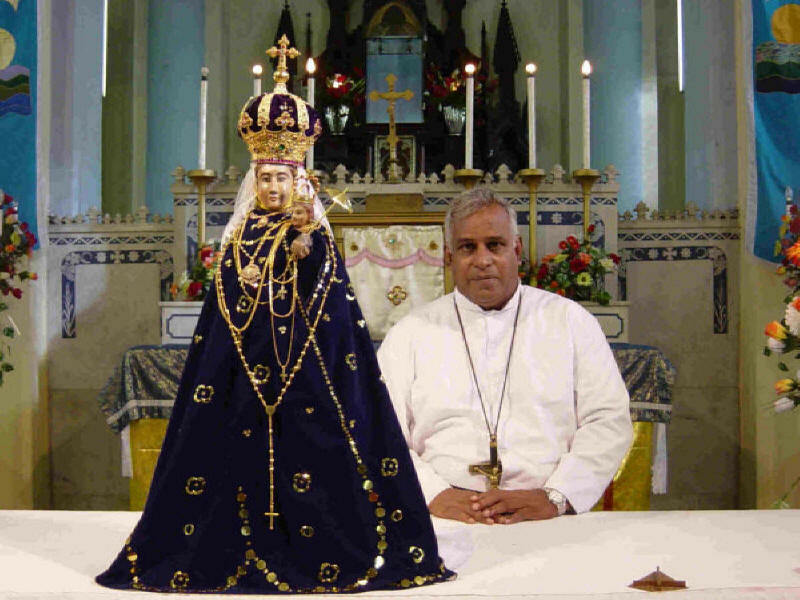 In the meantime, earlier this month, the statue of Our Lady of Madhu was moved from the Madhu Church to a safer area, along with the priests, religious and laity who were advised by the local Bishop to relocate because of increasing attacks by the Sri Lankan military. Shortly afterwards, the Church was destroyed by shellfire. The all India Catholic union condemned the attack as a "wanton act of official military violence against a haven of peace"
Madhu is the most important shrine in Sri Lanka for both Tamil and Sinhalese Catholics. The statue of Our Lady was moved there during the 17th century persecution of Catholics in Sri Lanka by Dutch protestants.